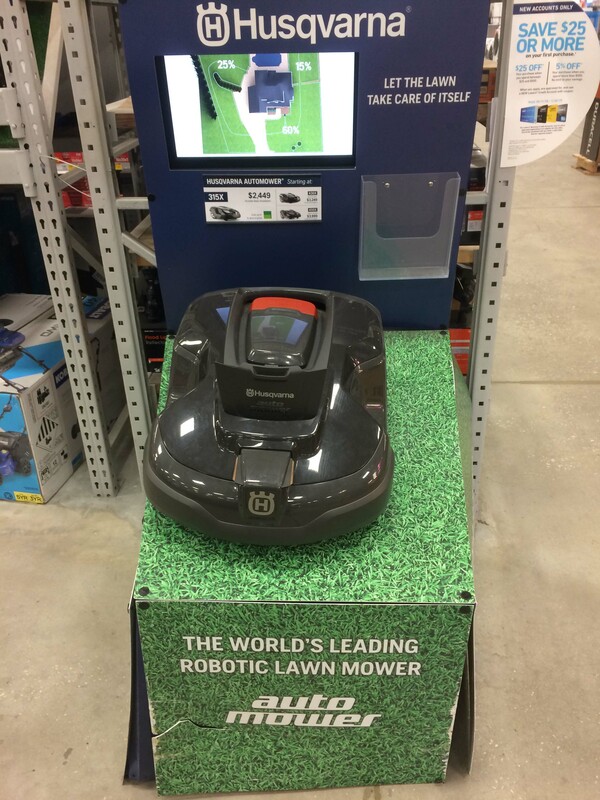 A while back I was at a big box hardware store (one of my favorite places to shop) and saw on display a Husqvarna robot lawnmower. I knew Husqvarna made a great chainsaw, but a robot lawnmower? Wow! I stood there in the hardware store aisle and watched the video accompanying the display. A lawnmower that goes back and forth across your lawn all by itself; wow! I could picture it vividly. I would be sitting on my back screened-in porch sipping iced tea while reading a book and all the while my lawn was being mowed! I later shared my hardware store vision with my wife, adding that the Bible would be the book I was reading. Making the book a Bible makes the vision more spiritual, don’t you think? I argued that though the robot lawnmower costs a couple of thousand dollars it would be worth it. After all, how can you put a price on the spiritual benefit of spending more time reading the Bible? My wife didn’t see the compelling logic of my argument! It’s not that she laughed or made fun of my argument. All she did was give a slight smile with a barely perceptible rolling of the eyes (after 46 years of marriage you pick up on these small expressions of body language). I still get the lawn mowed, I still read my Bible; just not at the same time, as the wonderful Husqvarna robot lawn mower would have allowed me to do. I have to rob some time from watching TV or reading my John Grisham novel to let God get a Good Word into my day. The moral of the story? You can still get done all that’s important to get done if you just determine to do so.